Californian-born writer and vocalist Ithaka (aka Ithaka Darin Pappas) relocated from his native Los Angeles in 1992 to Europe where the artist entered of six year period of hyper-creativity. There he wrote, vocalized, created sculptures and photographed among other activities. In 1993 he wrote a collection of poems for a daily audio segment he hosted on a program called Quatro Bairro on Rádio Commercial, Lisbon. After reciting some these poems live on Rádio Comerical in 1993, he later recorded them as a collection of demos with a producer friend in the UK. The next year he recorded one of these poems, So Get Up, with the progressive-house project Underground Sound Of Lisbon who achieved massive international success with the track via distribution by Tribal/I.R.S. Records in New York. Between a series of moves and career developments, the original 1993 vocal poem demos recorded in England were lost. Neither studio technician or artist could find the original, or copies. So Get Up went on to become an international EDM anthem remixed by greats such as; Cosmic Gate, Miss Kittin, Fatboy Slim. Mert Yücel, Dave Seaman etc. 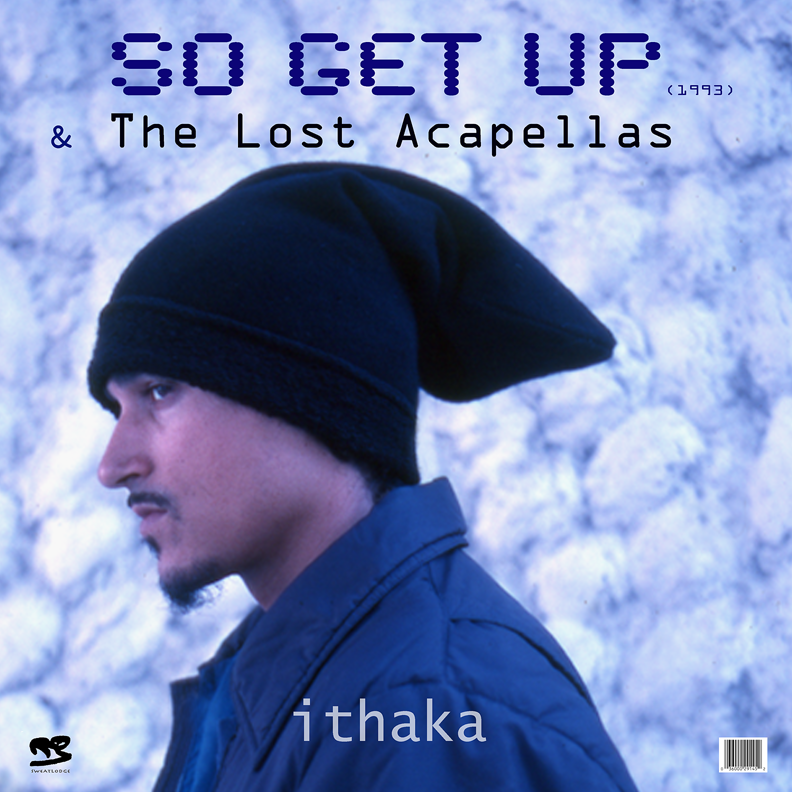 Ithaka himself went on to record a series of critically acclaimed hip hop albums. Here together on this disc are two new vocal recordings of Ithaka’s iconic poems “So Get Up” and “We Are The Players” (recorded in Mexico – 2017). Along with the complete collection of vocal-poem acapella demos made in 1993, some with their original proposed instrumental sketches. Please note: These are not intended to be finished songs, but instead are included to demonstrate Ithaka’s early musical direction prior to both Underground Sound Of Lisbon’s version of So Get Up (1994) and his own solo album, Flowers And The Color Of Paint (1995).